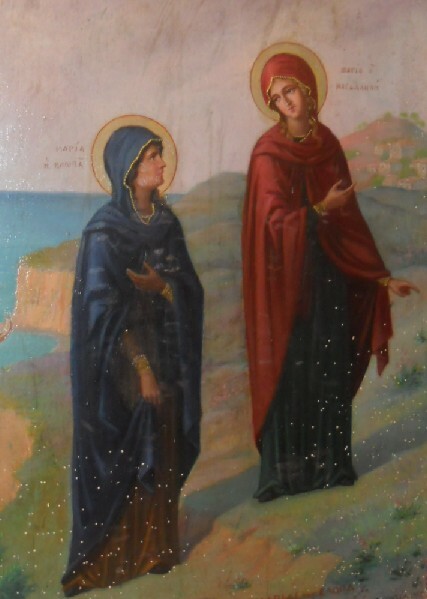 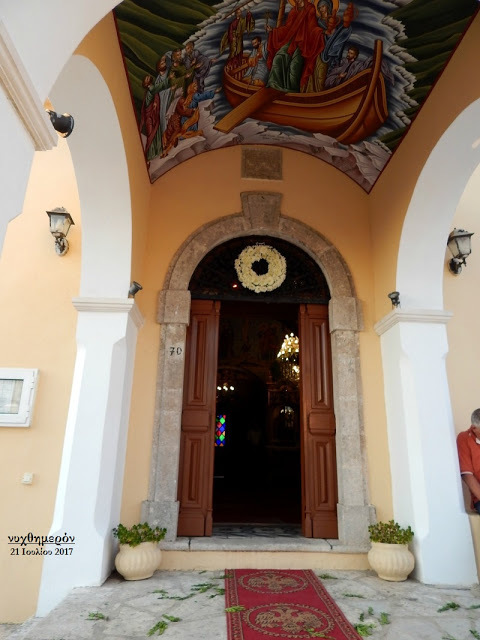 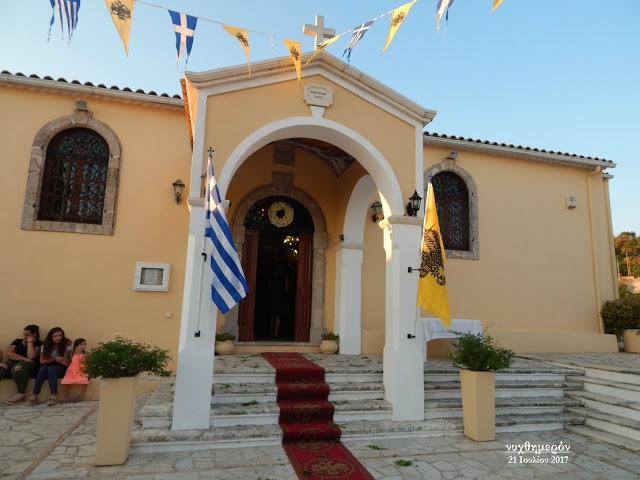 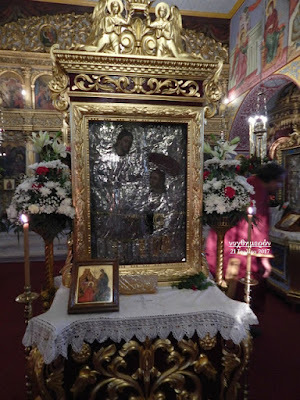 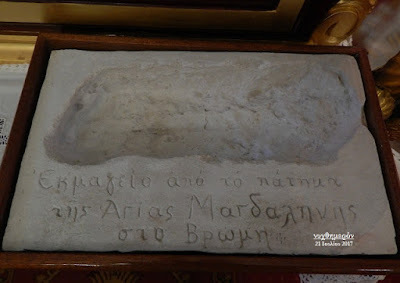 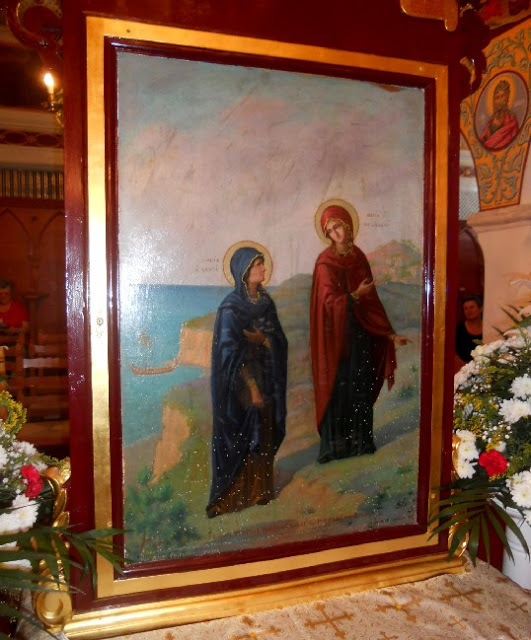 According to tradition, two women evangelized the island of Zakynthos in apostolic times, both Myrrhbearers and eye-witnesses of the Resurrection of Christ - Mary Magdalene and Mary of Cleopas. They first preached Christ crucified and risen to the locals while on their way to Rome around the year 34. 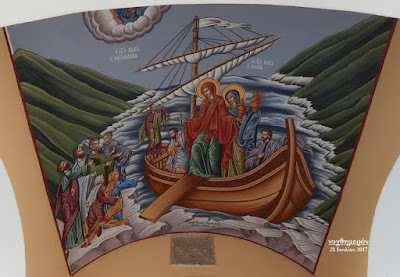 Their ship dropped anchor at Porto Vromi and Mary Magdalene came ashore to spread Christ’s gospel. 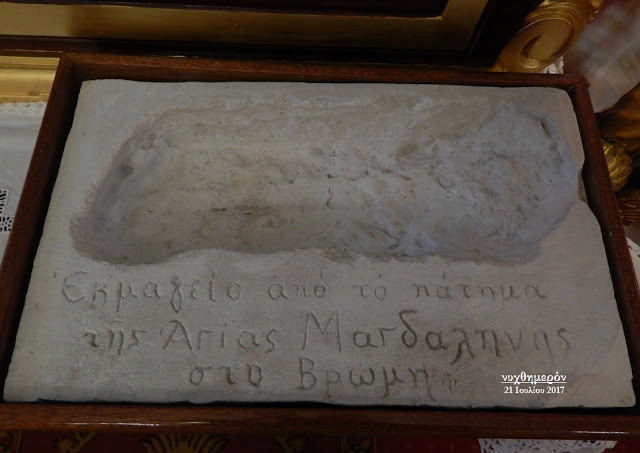 The footprint can still be seen on the rock where she first stepped foot. 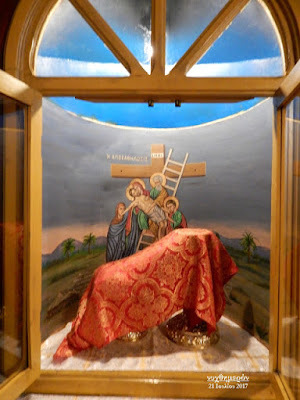 Today at Maries, Panagia Mariesotissa is the church of the village, standing below the village and housing an icon with miraculous properties. 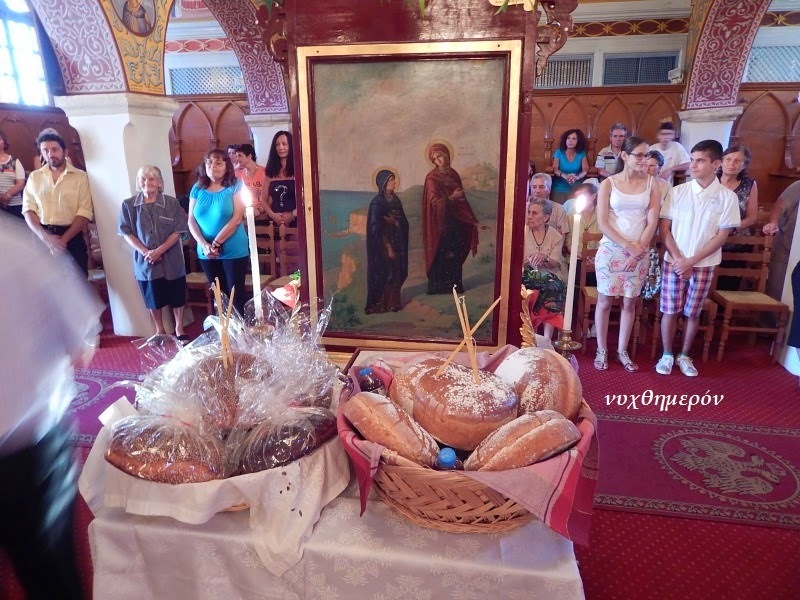 In Maries these events are celebrated annually with a procession on July 22nd, which is the feast of Saint Mary Magdalene.